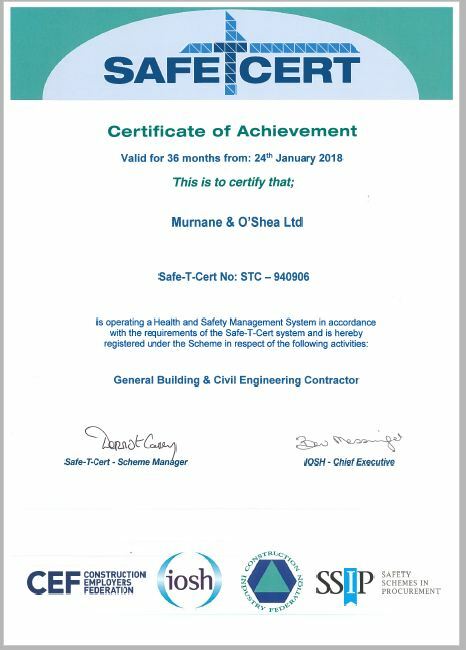 Murnane & O’Shea Ltd were awarded its Institution of Occupational Safety and Health (IOSH) Safe-T-Cert accreditation in 2010 and have held their accreditation ever since. Safe­-T-­Cert is a certification scheme designed for certifying the Safety Management Systems of contractors working in the construction industry. 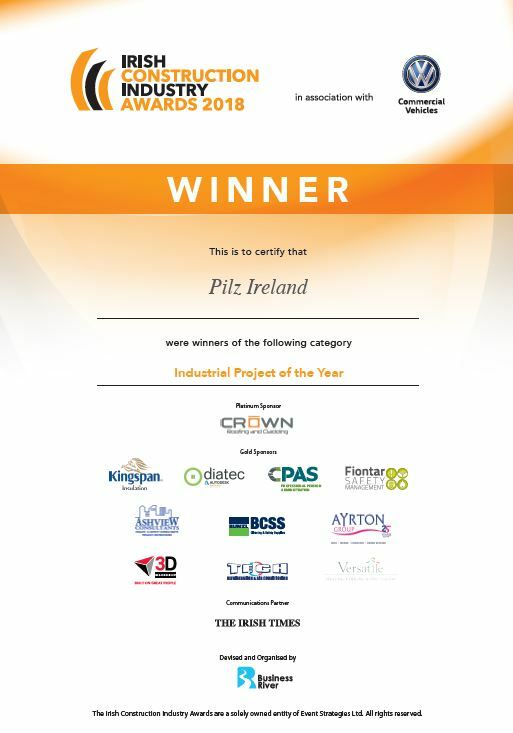 The Scheme’s objective is to improve health and safety management by providing objective standards and certifying those contractors whose safety management systems have been assessed, meet the requirements for training and competence, demonstrate the implementation of an occupational health and safety management system which meets the requirements of SafeTCert standard – incorporating continual improvement and addresses relevant national legislation. 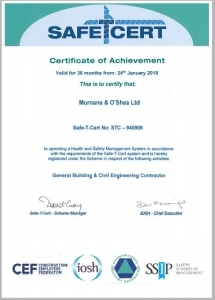 Murnane & O’Shea Ltd. recognises its responsibilities, under the Safety, Health and Welfare at Work Act, 2005, to provide as safe a place of work as is reasonably practicable. The Safety Statement has been prepared to comply with Section 20 of the aforementioned Act but also to acknowledge the moral responsibilities of the company to take reasonable care of all its employees and others affected by our activities. To comply with the Safety Health and Welfare at Work Act 2005, the Safety Health and Welfare at Work Act (General Applications) Regulations 2007 to 2016 and the Safety, Health and Welfare at Work (Construction) Regulations, 2013 and any other regulations applicable to projects undertaken. 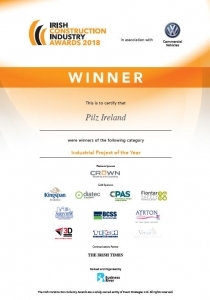 To identify and adhere to all new health and safety legislation and Industry Best Practice. To strive for continual improvement of health and safety throughout the company. To make available information, instruction, training and supervision on safe working practices as detailed in the Safety Statement, to our entire workforce and to do everything reasonably practicable to ensure sub-contractors are similarly informed and accept working under these conditions. To distribute this Safety Statement to all sites and ensure that the additional hazards are identified for each individual site. To ensure that all necessary resources, structures and procedures are in place to allow effective implementation and maintenance of the Safety Statement. To assess the effectiveness and implementation of the Safety Statement annually and make any changes deemed necessary when new legislation comes into effect.  This Safety Statement shall, therefore, be brought to the attention of, and made accessible to all Murnane & O’Shea Ltd. employees and sub-contractors so that they will know and understand their responsibilities as detailed in it and the co-operation required from all to achieve a “SAFE PLACE OF WORK”. The Murnane & O’Shea quality management system is a collection of business processes focused on providing a quality construction service. It is implemented throughout the organisation through the clear understanding of the policies, procedures, processes and resources and gives confidence to our customers of our ability to deliver a product that consistently meets their needs and expectations. This enables MOS to ensure that all construction projects achieve a consistent level of quality and that we are continuously improving our service and product offering to our clients. The most important business objective is delivering excellent building contractor services whilst maintaining the highest standard of quality relating to managing construction services and projects. It is the policy of the Murnane & O’Shea Ltd to complete every project in accordance with specific quality requirements. An effective Management System has been implemented which complies with the requirements of the International Standard ISO 9001:2008. Comply with all relevant legislation and follow the necessary codes of practice. Advise contractors and be advised of environmental developments in the construction area. Plan and execute works to minimise the effects of noise, dust, disturbance and inconvenience to those affected by such operations. Recognise the importance of archaeological remains. Actively encourage greater use of those consumable items which can be recycled or reused. Report and correct environmental incidents as they occur. Use energy responsibly and efficiently. Promote an environmental culture through employee consultation and training.